Edo State Governor, Mr. Godwin Obaseki (left); and the Chinese Ambassador to Nigeria, Dr. Zhou Pingjian; during the courtesy visit by the Ambassador, to the governor, at Government House, in Benin City. Ambassador Pingjian expressed his delight at the Edo State government’s steady progress in diversifying her economy through industrialisation and commended the Obaseki administration for opening its doors to Chinese investors. “My impression of the state is that this is one state that welcomes investors. 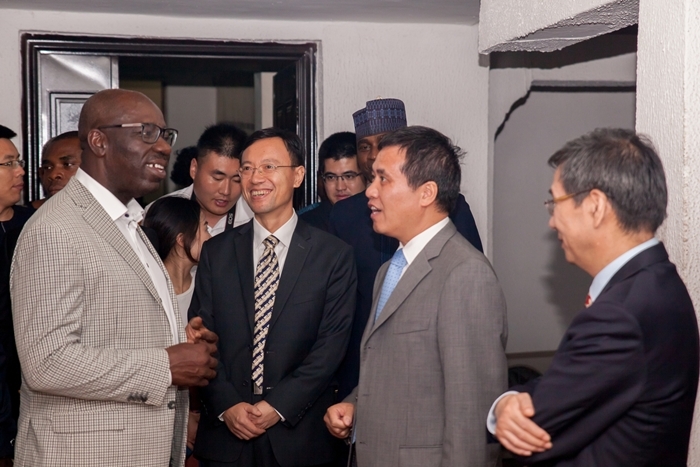 The Edo State government under Governor Godwin Obaseki has shown that Chinese companies have a place here,” he said. The scholarship, which he christened October 1st scholarship, derived its name from the day both Nigeria and China got their independence. “We want to remind our students that China and Nigeria share so many things in common, that are responsible for the strong bond between us,” he said.